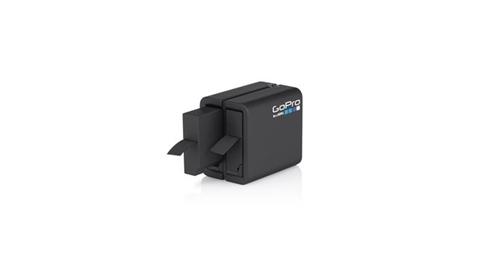 Conveniently charge your HERO4 camera batteries with the Dual Battery Charger, the only GoPro charger that allows you to charge two batteries simultaneously. 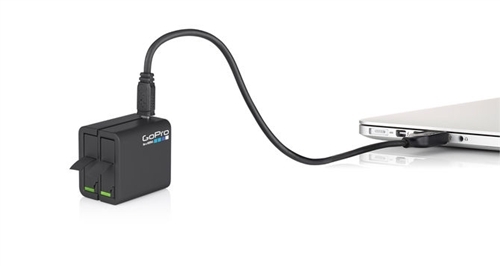 Featuring USB compatibility, you can power it with most standard USB power adapters, the GoPro Wall or Auto Charger1, or a computer2. Dual LED indicator lights display the charging status, so you know when your batteries are ready for action. 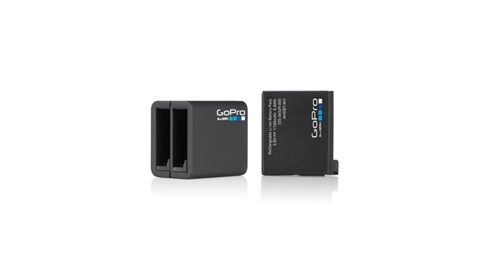 Includes a spare 1160mAh lithium-ion rechargeable battery for your HERO4 camera.